1st place, From Above, Steven Stemmler, Canada. First place, Dance floor, Divyam Mehrotra, India. Third place, Black and White, Rohit Gautam, UK. First Place, Epic Location, Felix Barra, Mexico. First place, Bridal party, Celestine Aerden, Canada. Second place, Couples portrait, Dan O'Day, Australia. Second place, From Above. Nikki Leadbetter, UK. Fifth place, Epic location, Madalena Cohen, Canada. Second place, Non Wedding. Aljosa Petric, Spain. Seventh place, Black and White, Chryssa Chaina, Greece. Third place, Film and Analog. Naomi Goggin, UK. First place, Film and Analog, Alain Schroeder, Belgium. Grand prize winner, Dan O'Day. Second place, Bridal Party, Thu Tran, USA. Second place, Black and White, Jiri Horak, Spain. Canbera-based wedding photographer, Dan O’Day has had taken out first place in the in the second annual 2018 International Wedding Photographer of the Year competition, taking home the grand prize of US$3,000 plus US$8,00 of product, including a Nikon D850. His wining image, captured at the National Art School in Sydney, also won the Couple Portrait category. Overall runner-up in the competition was Jason Tey, whose image which also won the Engagement/Non-wedding category. 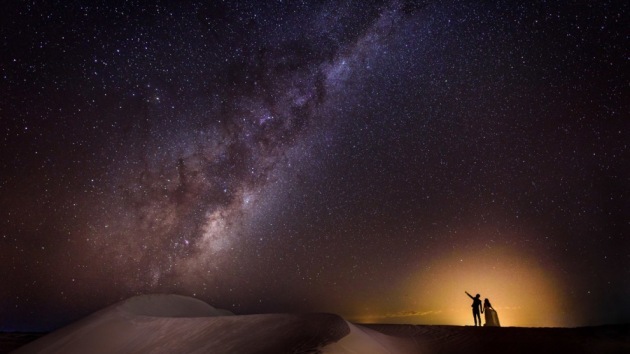 It was captured in the Lancelin sand dunes, a beach-side town about 140 kilometres north of Perth. The couple had flown from Hong Kong to take advantage of the clear night sky. "Out there it is so dark you’re left in awe at how vast and magnificent the universe is," Tey explains. "After we located the core of the Milky Way, I worked out a beautifully balanced composition. There was a strange glow in the distance (most likely from street lamps) which I thought would ruin the image but it looked like a sunrise so we used that glow to create a silhouette. It’s one of those perfect surprises that you never expect and it makes an image special," he said. 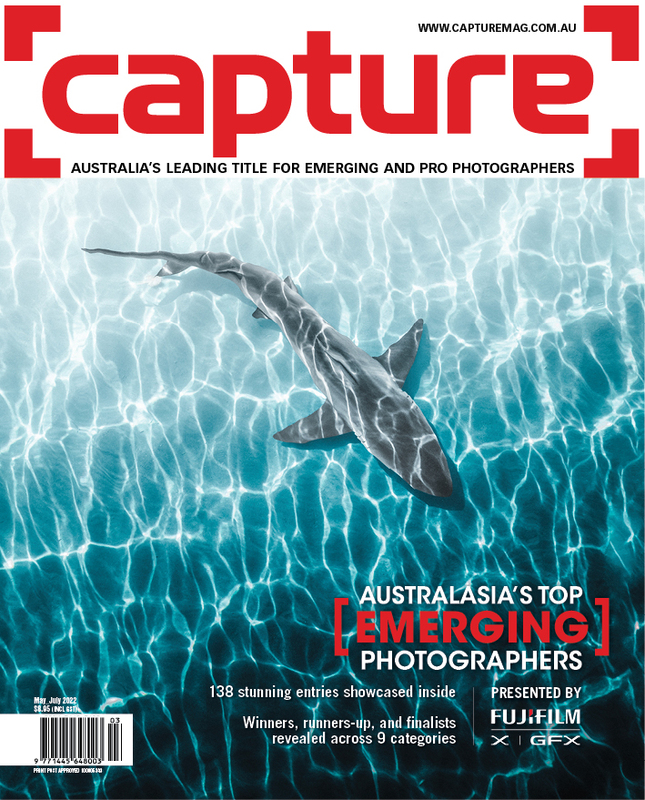 Perth-based photographer, James Simmons won the Single Capture category. Other categories in the competition, which offered a total prize pool of US$30,000, included Album, B&W, Bridal Party, Couple Portrait, Dance Floor, Epic Location, From Above, Single Capture, Solo Portrait, Film Photography/Analog, and Engagement/Non-wedding. O’Day’s image was captured at the last stop for portraits on the way back to the couple, Jess and Des’ wedding at the National Art School in Sydney. “For an hour we’d been running around the outskirts of the venue like kids in a playground, dropping smoke bombs and chasing what little golden Australian light we get at the end of the our time for portraits,” O’Day recalls. It was his first and only time using coloured smoke bombs, and says that is was pretty hit and miss. “In the final 5 minutes of sun, while Jess and Des were bee-lining it to their party, they walked through a slice of light coming off the roof from the building around us. There were partying guests, buildings, fire extinguishers on walls, and about 20 cars behind them in this shot, but in that moment and the light sliver, I saw the residual smoke hanging in the air and thought ‘sweet, there is residual smoke hanging in the air! Based in Canberra, Dan O’Day specialises in wedding and fine art photography. Influenced by his former life as a contemporary artist, his wedding images reflect the commitment to his art practice, refining techniques and constantly developing and refining his practice. 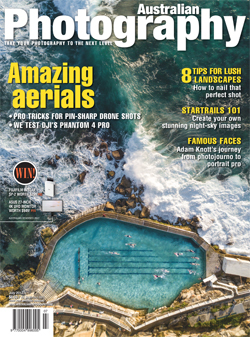 O’Day is a highly sought after keynote speaker being regularly commissioned for weddings, speaking engagements and judging commitments all over the world and is the current AIPP Australian Wedding Photographer of the Year. His fine art photography has been exhibited extensively Australia-wide and also held in collections in London, Paris, and Germany. In 2015, he was published as “one of the top 10 contemporary wedding photographers in the world” by Bill Hurter (Author, Former Editor in Chief at Rangefinder and After Capture Magazines). O’Day’s wedding work has been published in VOGUE Australia, Frankie Magazine, Harpers BAZAAR, Rangefinder, Australian Art Collector, Capture magazine, Hello May, Together Journal, and Better Photography, to name a few. Visit the website to see more of the winning images in the various categories.